Konstantino Sioulas founded his namesake jewelry label in 1994, drawing inspiration from Byzantine architecture and the beauty of ancient Greek culture. Konstantino jewelry incorporates unique designs and employs traditional jewelry making techniques. Konstantino pieces are individually handcrafted by skilled artisans and distinguished by details that are a modern take on ancient Greek jewelry. 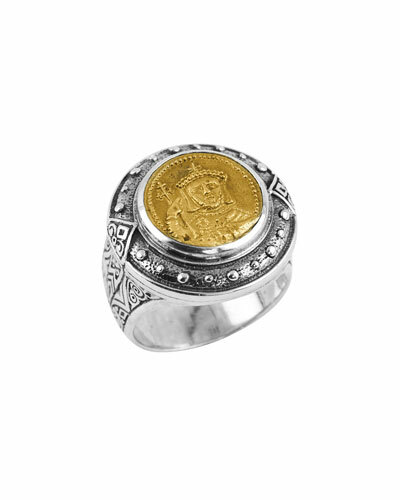 The collection shines through with its beautiful offerings of rings studded with motifs of iconic Greek figures and necklaces in gold. 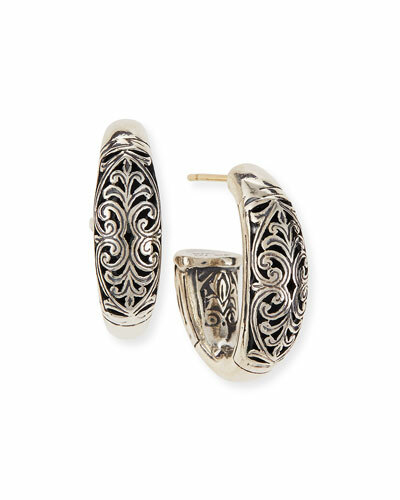 Neiman Marcus offers a great selection of Konstantino rings, bracelets, and earrings. 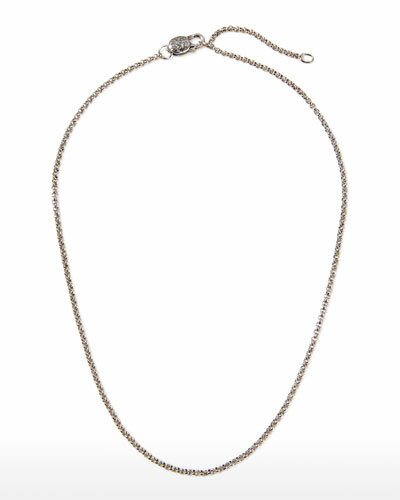 Necklace from the John Hardy Classic Chain Collection. 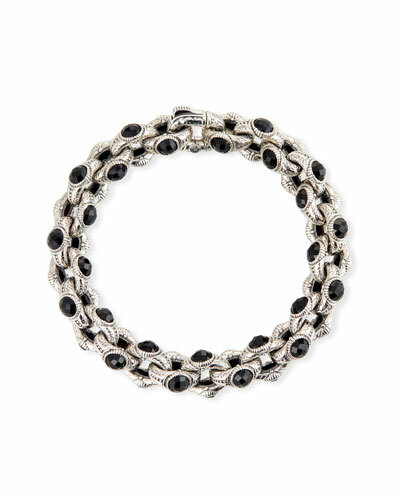 Sterling silver with signature John Hardy woven design, 6.5mm. 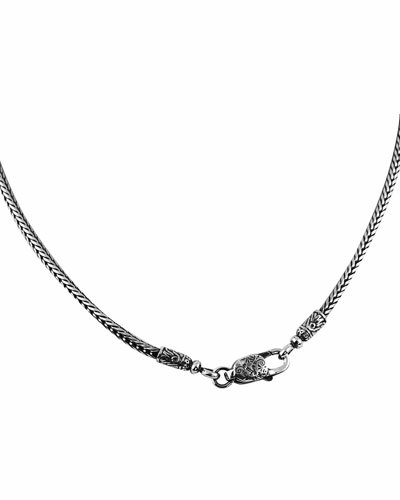 Ornate pusher clasp. Necklace by John Hardy. 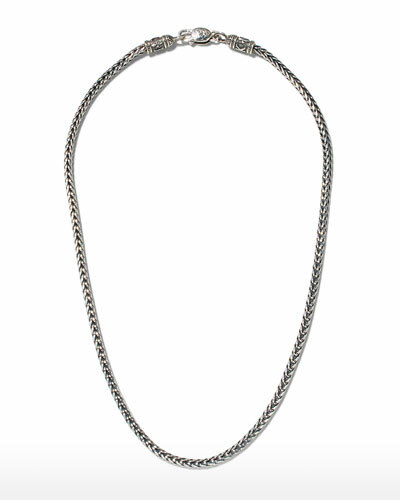 Sterling silver box chain, 2.6mm. Carved bale with signature chain design. Star of David pendant with hammered center. Approx. 26"L. Imported. 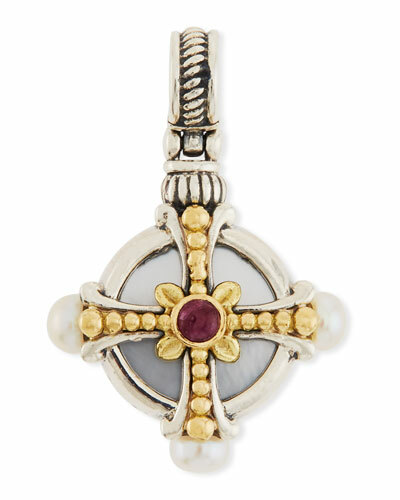 Hestia cross pendant from Konstantino. 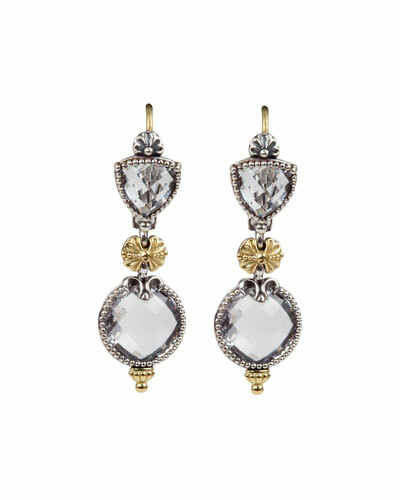 Sterling silver and 18-karat yellow gold. Three faceted, round rhodolite garnet. Naturally hued mother-of-pearl cross. 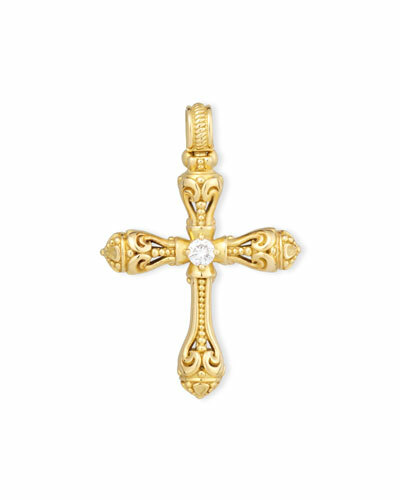 Hestia cross pendant from Konstantino. 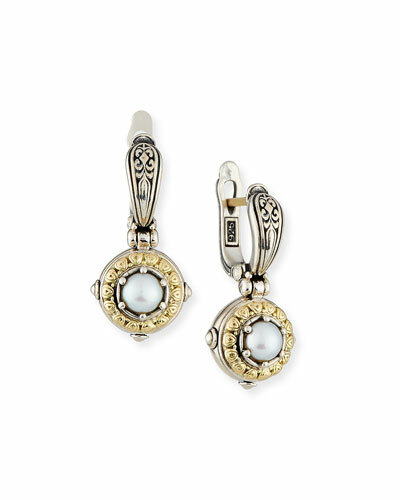 Sterling silver and 18-karat yellow gold. Three faceted, round rhodolite garnet. Naturally hued mother-of-pearl cross. 4.0 total mother-of-pearl carat weight. Signature etching and filigree details. Handcrafted in Greece.